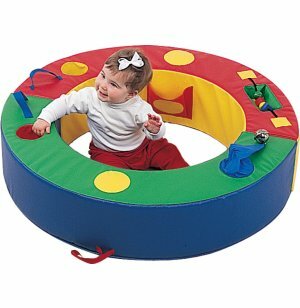 These Foam Play Rings are great development tools for your toddlers! Award-winning play system offers babies and toddlers a cozy and safe play area. 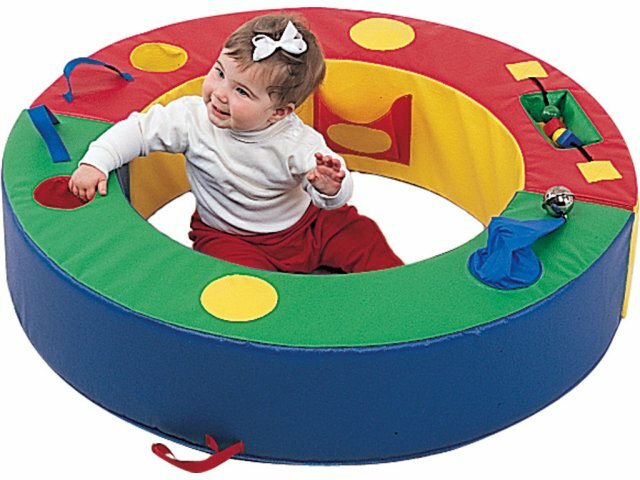 Play ring perimeter supports toddlers and includes hidey-holes, squeakers and bells for sounds, various wood shapes, and storage pockets too. Consists of two pieces that can be used separately or attached with hook-and-loop.